Eight ounces of fresh plant material was obtained. One ounce was placed in seven 500 ml jars and pressured canned at 15 PSI for 70 minutes to Decarboxylate. The jars are well sterilized, and material be stored until required. This material will be used to make cannabutter and alcohol tinctures. 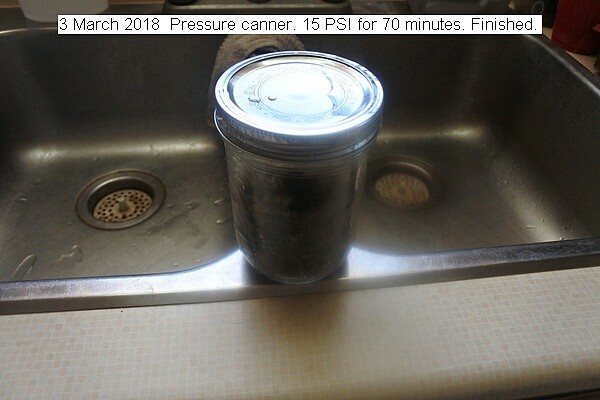 This entry was posted in Uncategorized and tagged 3 March 2018 Decarboxylation in Pressure canner, Decarboxylation in Pressure canner. Bookmark the permalink.